You are slow to learn? Here are the 5 best speed reading techniques! The exams are upon us, everything seems to go over a company, then you just have to try the 5 best speed reading techniques. We need to be concentrated so fast reading can be applied. So first of all turn off the phone: WhatsApp, Telegram, Facebook, Twitter, Instagram, Snapchat, Tumblr and so on and so forth, are not to be absolutely fine. It must isolate yourself from the world. If you do not want to turn off the phone for one reason or another, isolate it by removing the connection and making sure to only receive calls and text messages. Done? Accurate. Take your clipboard history and stand in the corner of the quiet house, where you will not have brothers who roam around and parents ask you to do things. 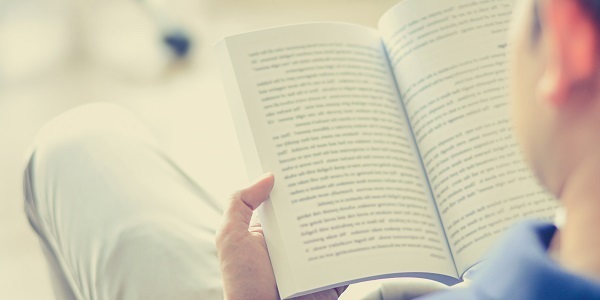 Relax for a few minutes and start reading possibly with natural light. You will see that remaining blocks, staying in a relaxed situation will be possible to achieve significant results and an increase in higher concentration. This is the first of the 5 speed reading techniques. 2. Follow the pen, follow that pen! If the first technique we combine this other the result will be amazing. Take a pen that is long, kind Staedtler to speak. OK done? Well, you remember when in elementary school the teacher will say to follow your finger in reading? Do the same with the pen. Initially be slow, be re-accustom the eye to follow the indicator. Increase the speed gradually, more and more. Can you read a page in an increasingly shorter time. If you do not have the ability to use a pen, perhaps because you are on the train or in any case outside the home, even use your finger. I recommend, try to always remain focused or you risk arriving to bottom without understanding. Now and then, after a few pages, take breaks to when settling on understanding whether or not the reading. For you high school students who definitely last you will slacken to prepare your term papers of maturity … started to use one of the 5 speed reading techniques as soon as possible so as to become experts in a few weeks! 3. 30 degrees is mega that 180! It is not the spot of a well-known ice cream, but a tangible reality. The math notes (or other matter) you’ll have to keep them at 30 degrees. Never read a book lying or too upright, you get tired and do not unnecessarily much concludes. So, take your good book and put it at 30 degrees, you will see that you strive not. Also used by desk lecterns and your hands will thank you. Spend an afternoon in front of a book is really tough! Our eyes have a small cosseting called the fovea. Everything that passes through the fovea is like made it clear, as if it were our focus point. Here, you learn to divide the sentence into parts so as to be able to extrapolate only the essential words. All that is useless in reading, after a little practice, we will be able to eject it automatically. Trust me; it is more difficult to explain than to put into practice. Our mind, through this mechanism, fail to make clear a lot more things. Before you make a reading that will take you away hours and hours it is advisable to “dissolve” a bit eyes. A little as when a coach says to warm up before you start doing the exercises. Here, the same thing. It should therefore exercise our eyes for a minute a day and before each reading, so as to loosen the muscles and reduce stress. In addition, through the dissolution of the eyes, you can activate what is called peripheral vision that is fully part in one of the 5 speed reading techniques more important. In fact, through this we can “eat” words about words and to be focused on what lies ahead.